Today is Thursday, May 4, the 124rd day of 2017 in the Gregorian calendar, with 241 days remaining. 1,357 days until the end of Donald Trump's term as President, assuming he doesn't resign or is otherwise removed from office. 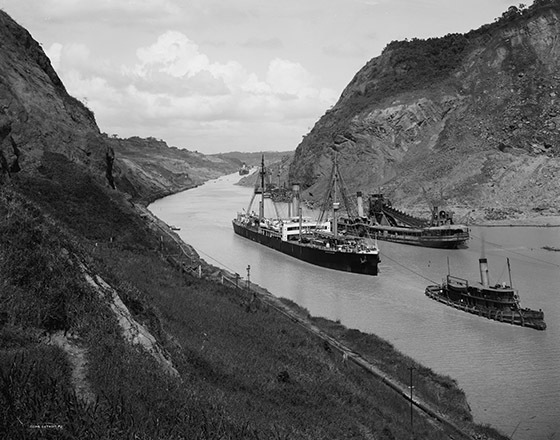 On this day in 1904, the United States begins construction of the Panama Canal. France began work on the canal in 1881 but stopped due to engineering problems and a high worker mortality rate. The United States took over the project in 1904 and opened the canal on August 15, 1914. One of the largest and most difficult engineering projects ever undertaken, the Panama Canal shortcut greatly reduced the time for ships to travel between the Atlantic and Pacific Oceans, enabling them to avoid the lengthy, hazardous Cape Horn route around the southernmost tip of South America via the Drake Passage or Strait of Magellan. Among other things, today is also The National Day of Reason, a secular celebration for humanists, atheists, and other secularists and freethinkers in response to the National Day of Prayer, a legal holiday in the United States. The day is celebrated on the first Thursday in May of every year, to coincide with the National Day of Prayer, which many atheist and secular groups view to be unconstitutional. The purpose of the National Day of Reason is to "celebrate reason— a concept all Americans can support— and to raise public awareness about the persistent threat to religious liberty posed by government intrusion into the private sphere of worship." The National Day of Reason is also meant to help build community among the non-religious in the United States. Florida woman caught on tape faking a worker's comp injury. "Today's news, which may be yesterday's anyway, will be eclipsed tomorrow." Things Jimmy Kimmel's baby should have done to deserve health care, according to Republicans. Sigh. Yep, they're all Republicans. Why there was a Civil War... Some issues aren't amenable to deal making; some principles don't lend themselves to compromise. Automation will continue to replace humans, but not where you think. Areas with high concentrations of jobs in food preparation, office or administrative support, and/or sales will be most affected- places such as Las Vegas and the Riverside-San Bernardino area may be the most vulnerable to automation in upcoming years, with 65 percent of jobs in Las Vegas and 63 percent of jobs in Riverside predicted to be automatable by 2025. Other areas especially vulnerable to automation are El Paso, Orlando, and Louisville. What global warming 'hiatus'? Researchers claim to have reconciled the differences between the computer model projections and observational temperature records. Stephen Hawking thinks humans have only 100 years to leave the Earth. The renowned English theoretical physicist made the claim as part of a new documentary, Expedition New Earth, that's set to air on BBC Two over the summer. As part of his predictions, Hawking said the effects of climate change, overdue asteroid strikes, epidemics, and population growth has put the planet in an "increasingly precarious" position. Call me a foolish optimist, but I prefer Star Trek's philosophy- we can fix all those things and explore space. New movie shows spacecraft Cassini's first dive over Saturn. And NASA scientists find a giant wave rolling through the Perseus galaxy cluster. Remember the story from the other day about the woman who was arrested for breaking out in laughter at Jeff Session's Senate confirmation hearing? She was found guilty of the two charges she faced: one of disorderly and disruptive conduct and a charge of parading or demonstrating on Capitol grounds. "Ms. Fairooz said she was 'really disappointed' by the verdict and that her attorney would file post-trial motions seeking to set the verdict aside. She said it was too early to discuss an appeal. She also said she would continue to protest the Trump administration. 'I'm so disgusted with so many different aspects of our current government,' she said. That's it for this week. Have a good weekend, and see you on Monday?